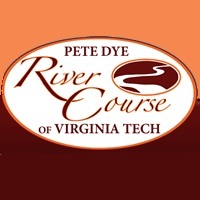 Mike Sims was the Overall Winner at the Pete Dye River Course of Virginia Tech. Mike shot an 84 for a 61 net out of the 3rd Division. 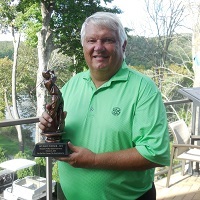 Low Gross and Medalist Honors went to Craig Hill, shooting a 73. 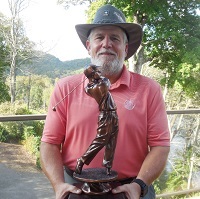 The other Divsion Winners were Joey Phillips with a 65 net in Division 1, and Steve Anderson with a 63 net in Division 2. Other winners and scores are highlighted below. 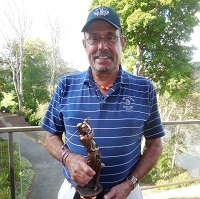 Thanks to John Norton and his staff for the excellent arrangements and course conditions. Also, thanks to Annette Carter for serving refreshments to raise awareness and money for Alzheimer's.